I have spent long periods of time in Louisiana, USA, since I completed my education as a music teacher in 1884, graduated from the Royal Academy of Music in Copenhagen, Denmark. During my visits in Louisiana I have studied and played with a number of well-known Cajun musicians. In Europe I have played with professional Cajun bands in Germany, Norway, Sweden and Finland since 1987. In 1991 I formed my own band: Cajun du Nord, still in existence (2010) – with members from the Nordic countries. In 1990 I taught my first Cajun workshop/course at Falun Folk Music Festival in Sweden. Since then I have taught at many festivals in Finland, Norway and Denmark. In 1993 I organized the first of many workshop trips to Louisiana for Danish musicians. Later there have been similar trips to France. I taught Cajun music and dancing at Tingluti Evening School in Copenhagen Denmark from 1997 till 2007. Together with Karen Vinding I wrote the book: CAJUN, en kultur-og musikhistorisk rejse gennem Cajunland i Louisiana, USA (CAJUN, a cultural and music historical journey through Cajun Country in Louisiana, USA.) It was published in Denmark in 1993. From 1996 till 2006 I edited a Cajun newsletter sent out to ab. 150 members in Denmark, Norway and Sweden. Over the years I wrote several articles for various papers and magazines in Denmark on Cajun music and culture. CFMA - Collection of Cajun Music. Recorded with A. Jagneaux, Church Point LA USA 1986. Melange. LP recorded with Nouvelle France, Holzappel Germany 1988. Chère Alina. Own single, recorded with Bygg Band in Church Point Louisiana 1990. 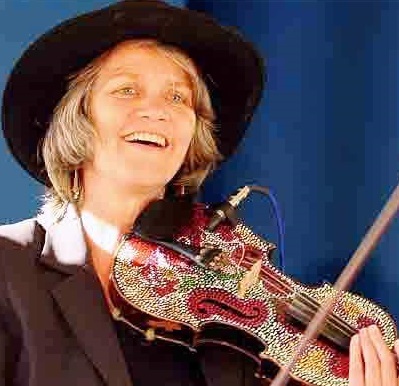 25 traditional Cajun songs collected by Elsebeth Krogh, MC recorded with G. Otnæs 1991. Bobby Scott, CD, guest musician with Bobby Scott, Vidrine Records Louisiana 1992. Country Time. Compilation CD. Recorded with Cajun du Nord i 1993. One O’clock Humph. CD, Guest musician with One O’clock Humph in Tampere Finland i 1993. Va à Cheval. CD guest musician with One O’clock Humph in Tampere Finland 1994. Cajun du Nord in Louisiana, award winning CD recorded in LA 2000, Swallow Records USA. Arve Hålands Cajun Gumbo „Bon Appetit“ CD recorded in Bergen, Norge 2006, Bulaba Records.